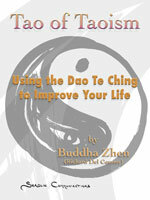 Learn to be in harmony with yourself and Nature as taught by Lao Tzu. 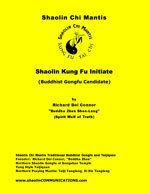 This workbook is required for all students of Shaolin Chi Mantis Traditional Buddhist Gongfu. 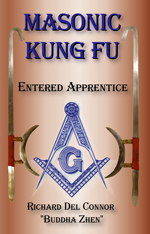 Richard discovered a Kung Fu Form he taught was encoded with secret hand signs and symbols of Modern Masonry. This novel is about teens and a British Mason in China when the Japanese were invading in 1937. 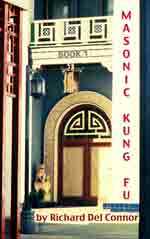 Paperback version of Masonic Kung Fu available from Amazon.com Two Chinese teens rescue British Freemason in 1937. Order your copy and bring it to class for Buddha Zhen to autograph. This unusual version of history starts with God alone and how Satan was influential in the creation of Zen Buddhism with Bodhidharma at the Shaolin Temple on Mt. Songshan. Novel by Richard Del Connor as told by an archangel. Traditional warrior concepts such as, "Loyalty," "Devotion," and "Pride," are illuminated to aid today's Westerners in acquiring the self-discipline and spiritual aspects of Shaolin Kung Fu. Includes details of belt ranking and workouts of BKF. 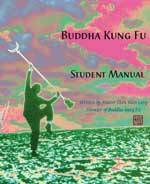 Required manual for all Buddha Kung Fu students. This book will enlighten Americans as to what the ORIGINAL Zen Buddhism really is, before the Kung Fu was replaced with sitting meditation in Japan. Bodhidharma created Zen Buddhism by adding Kung Fu to Mahayana Buddhism. This book prepares Buddhist candidates for initiation and head shaving. 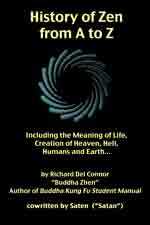 This is a book for spiritual people and warrior athletes who realize that human enlightenment is a "way of life." This book has changed and improved hundreds of lives during the 1990s after Buddha Zhen wrote this for his prison students in 1992. Required of all Shaolin Chi Mantis, Buddha Kung Fu schools, and Tai Chi Youth students, this book will be of benefit to Yoga practitioners who don't understand what Tai Chi Chuan (Taijiquan) really is. 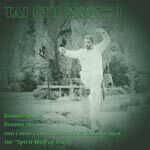 "Tai Chi Magic" was written by Buddha Zhen for the SCM and TCY Demo Teams to perform the Tai Chi Short Form synchronized to the music. 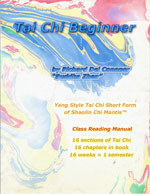 "Night Blue Sky" is good for practicing the Tai Chi Short Form slowly like a moving meditation. Hosted by Shaolin Communications © 2015 shaolinMUSIC.com All rights reserved.